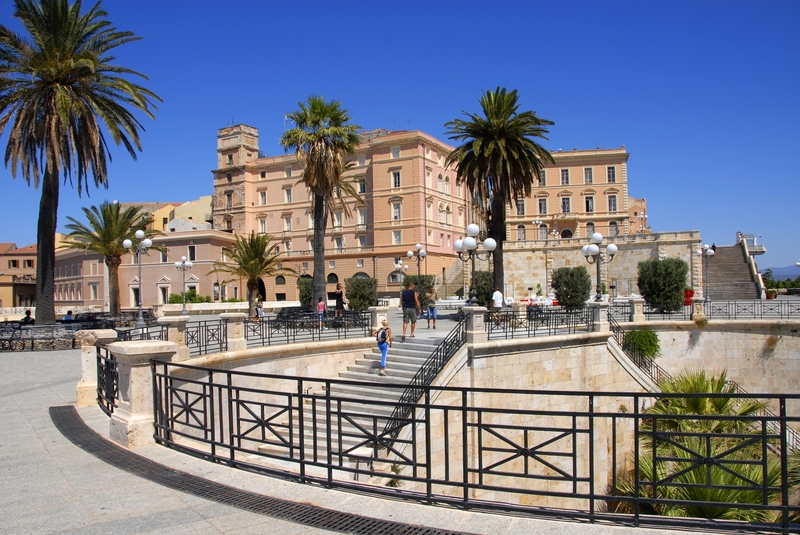 Picturesque historical districts with sea views, elegant shopping streets and panoramic terraces, including the bastione di Santa Croce, a great place for a romantic evening after a fiery sunset. 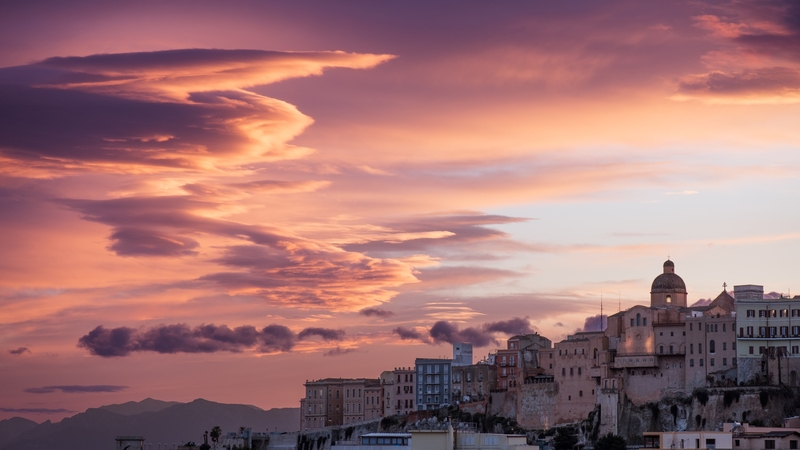 Cagliari is Sardinia’s main and most populous city, at the centre of an urban area that counts 430,000 inhabitants (150,000 of them in the capital city alone) as well as the island’s gateway port and main Mediterranean cruise liner hub. The city’s history goes back thousands of years, from pre-historic times to the reign of the Savoy. The Castello quarter sits perched on its highest hill and boasts ancient bastions that today are the heart and soul of nightlife, and picturesque streets lined by grand old homes: Palazzo Regio and Palazzo di Città, as well as the Cathedral of Santa Maria. The medieval towers - dell’Elefante and San Pancrazio - that stand guard at the entrance to the castle are well worth notice. 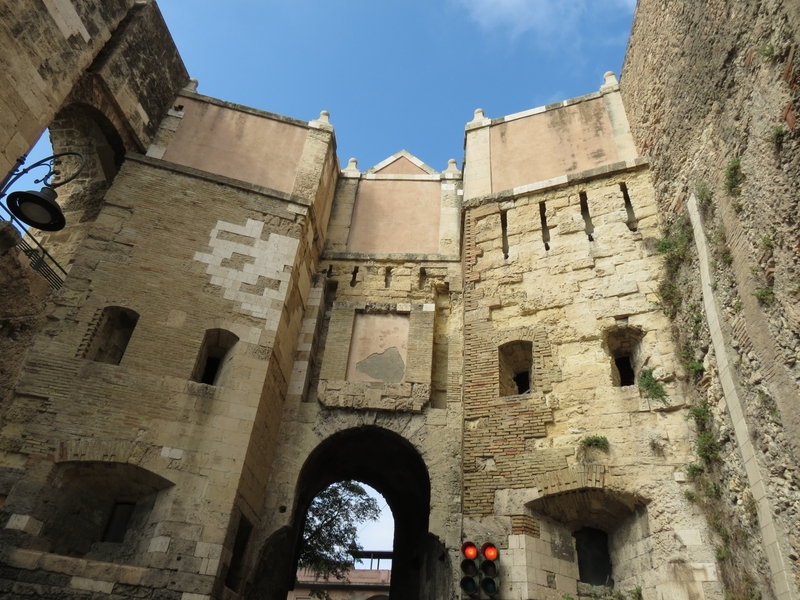 Villanova connects to the Castle quarter via the stairway of the bastione di Saint Remy. A passionate air of religious devotion takes over the quarter every year at Easter, during Holy Week, while during the rest of the year the elegant boutiques and churches welcome you with somewhat less ado: the cloister of San Domenico, the Church of San Saturnio, and the Basilica di Nostra Signora di Bonaria, the Christian temple of Sardinia. Below Castello you’ll find the Marina quarter, which will impress you with lovely buildings and the porticos of Via Roma, including the Palazzo Civico. Settled as a village of fishermen and merchants, it is the symbol of the town’s multi-ethnicity. 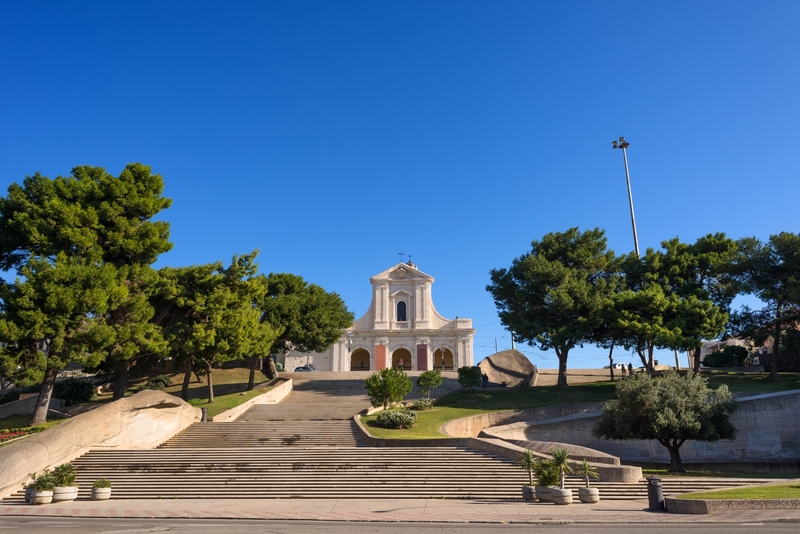 Here you will find the Church of Sant’Eulalia, home to precious remains from the Roman era. 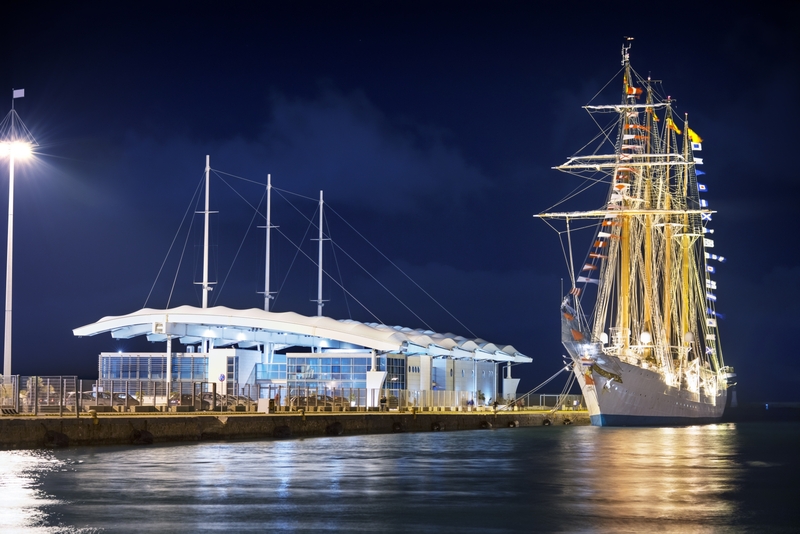 The Stampace quarter is the venue of the colourful yearly festival of Sant’Efisio in May, an event the entire island enjoys. Its narrow streets are home to the baroque Church of Sant’Anna. 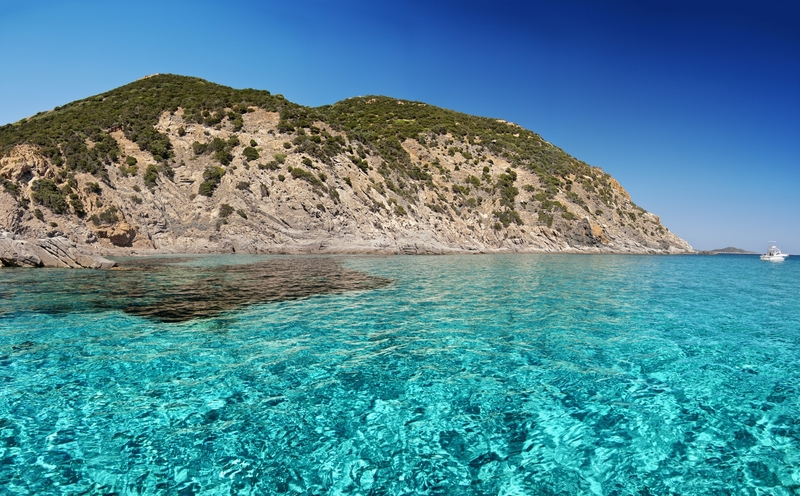 Don’t forget to visit the nearby Anfiteatro, one of Sardinia’s most important Roman ruins, and the Botanical gardens, a green oasis in the city’s centre. Just outside of town is the Castle of San Michele and Tuvixeddu, the Mediterranean’s largest Phoenician-Punic necropolis (VI-III century BCE). 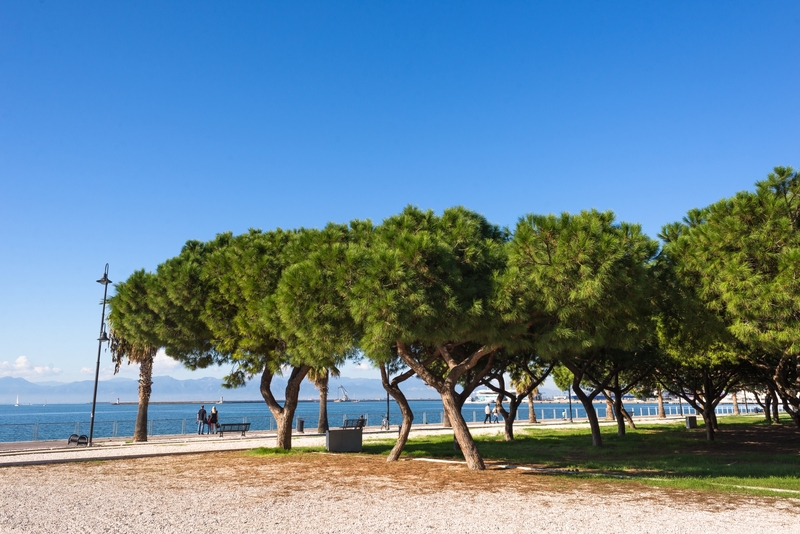 When you are ready to surround yourself with nature, you can head towards a thousand different natural attractions: the Cagliari lagoon, the Molentargius-Saline park, which you can visit on a mountain bike, to see the pink flamingos take flight, and, of course, the sea. 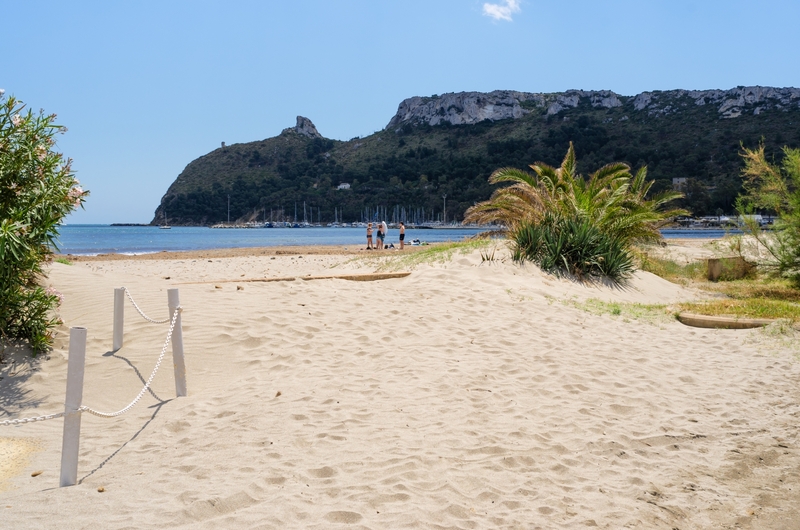 Take a dip at Poetto, the city’s 8 km long soft sandy beach along which there is a walking trail and cycling path. Even at night, when it reveals its more glamorous side, it is a delight. 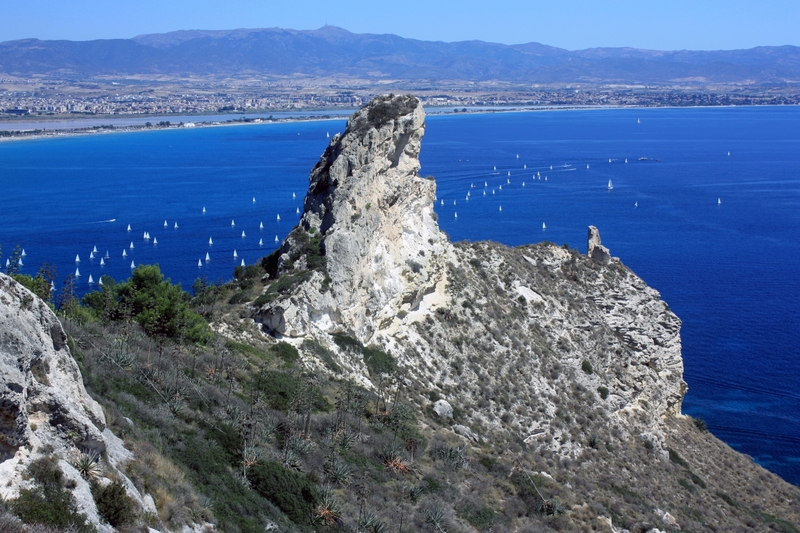 You can take an excursion to Calamosca and Sella del Diavolo from Poetto. And, finally, there is the local cuisine to be enjoyed, spaghetti with bottarga (cured mullet or tuna roe) and artichokes, burrida made with catshark and walnuts, and fregula con cocciula, balls of semola with clams.